In this final installment of our Chemical Kinetics series, we will look at one of the major chemical syntheses of the modern era. 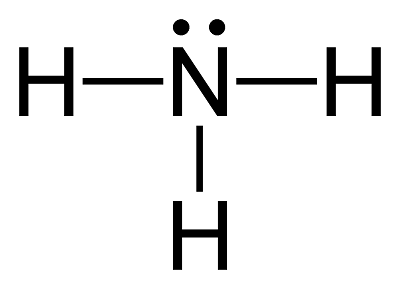 This is a process that every single one of us has benefited from, whether we know it or not: ammonia synthesis. It has become one of the most studied reactions in history, its intricacies and complexities are the subject of several textbooks, and its history is a complex tale of good and evil. 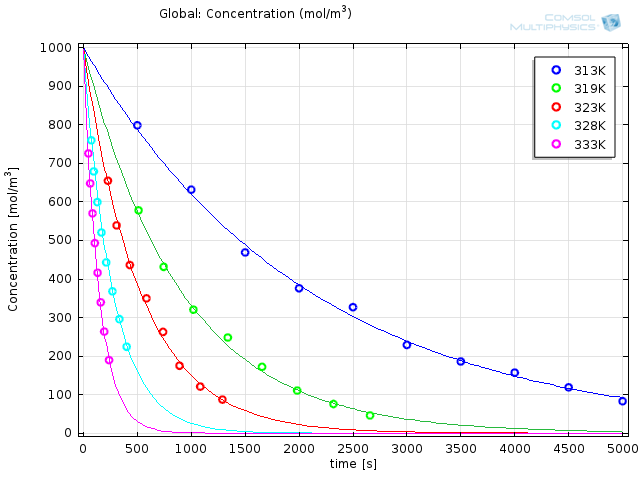 The last two blog posts in the Chemical Kinetics series were concerned with modeling chemical reactions based on a particular set of parameters. While this is important and of great academic and industrial interest, the relevant parameters were assumed. 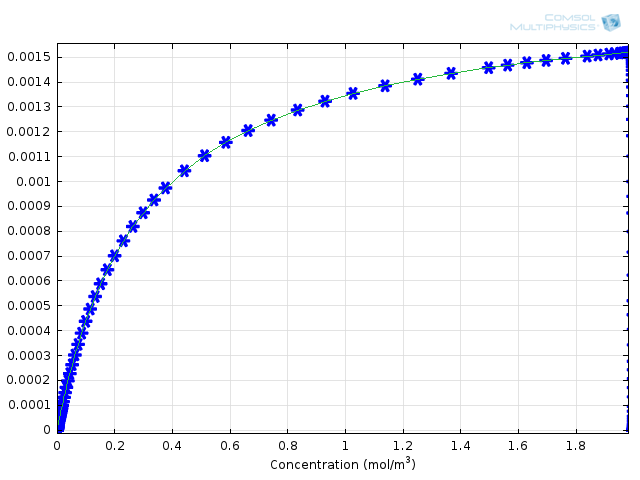 Now, let’s find out how to estimate the chemical parameters using COMSOL Multiphysics. Chemical reaction engineering is an interesting modeling challenge. At first glance, describing a reacting system seems to be very manageable. There remain, however, countless complications and pitfalls that make chemical simulations both challenging and rewarding. 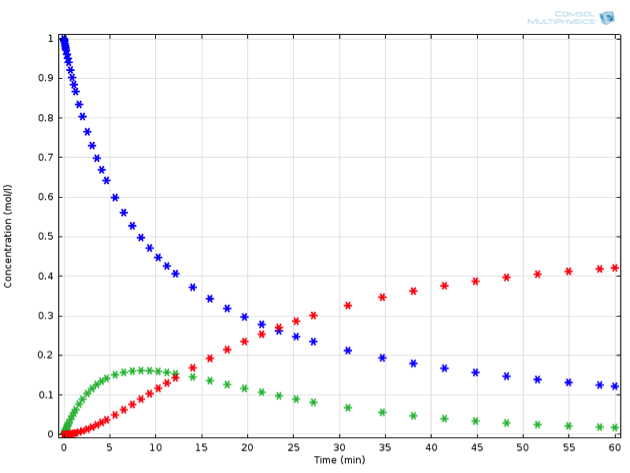 In this first post of a new blog series, we will introduce chemical kinetics in general and walk you through how you can use COMSOL software in chemical reaction engineering. While the mathematical study of chemical reactions has been performed for more than a century, it is only fairly recently that the computational tools for numeric integration of rate equations have been widely available. The old adage of “necessity is the mother of all invention” holds true in this instance. 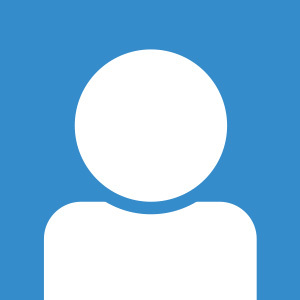 Here, you will find a classical analysis of a non-trivial reaction system, and learn how the simplified solution compares with the “real” one.